For further information on any of the issues discussed in this article please contact the related contact(s) on this page. The China Bond Connect (“Bond Connect”) initiative has been approved by the Central Bank for investment by Irish funds. This is a very significant development for the funds industry in Ireland and will be of interest to the many international fund promoters distributing Irish domiciled investment funds. Several fund promoters have new products ready to launch following this Central Bank announcement. As you will be aware, in 2017, the People’s Bank of China (“PBoC”) approved collaboration between the China Foreign Exchange Trade System & National Interbank Funding Centre (“CFETS”), China Central Depository & Clearing Co., Ltd (“CCDC”), Shanghai Clearing House (“SHCH”), Hong Kong Exchanges and Clearing Limited (“HKEX”) and the Central Moneymarkets Unit (“CMU”) of the Hong Kong Monetary Authority (“HKMA”). The aim of such collaboration was the development of the bond markets in Hong Kong and Mainland China through establishment of mutual bond market access between Mainland China and Hong Kong by way of Bond Connect. While the infrastructure contemplates two-way access between Hong Kong and China, at present it is only open in respect of investment through Hong Kong into the China Interbank Bond Market (“CIBM”) which is generally referred to as Northbound access. Northbound trading commenced back in July 2017, offering CIBM access to a broader group of international investors. In providing access to the China bond market for international investors, Bond Connect represents an alternative to the existing CIBM Direct, QFII and RQFII routes. Given the proposed inclusion of bonds traded on CIBM in a number of internationally recognised indices including, Bloomberg Barclays Global Aggregate Bond Index (phased inclusion to commence in April 2019), FTSE World Government Bond Index and JP Morgan Government Bond-Emerging Market Index, it is increasingly important that Irish collective investment schemes tracking those indices can obtain access to the China bond market in the most straightforward and efficient manner possible. Irish Funds do not want to have to go through the process of obtaining relevant quotas under QFII and RQFII and implement the attendant infrastructure in relation to investment through PBOC CIBM direct or either of the above channels. Irish Funds industry participants have had a long engagement with the HKEX, the HKMA and others involved in the structuring of Bond Connect, including Bond Connect Company Limited (“BCCL”). BCCL is a joint venture established by CFETS and the HKEX to support Bond Connect related trading services. BCCL supports the admission and registration of Northbound investors, liaises closely with the recognised access platforms through which international investors are able to trade CIBM instruments, and conducts investor education activities in relation to Bond Connect. 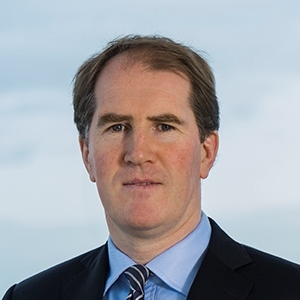 Significant work was undertaken in order to facilitate the review of Bond Connect by the Central Bank and a detailed paper explaining how the custody and settlement arrangements for Bond Connect fulfil the depositary requirements as per the UCITS and AIFMD frameworks was considered by the Central Bank. As one would expect many of the relevant issues mirrored previous industry submissions in respect of the Stock Connect scheme. Last year Irish depositaries conducted a detailed analysis and are satisfied that they are in a position to comply with their safekeeping obligations in respect of Irish collective investment schemes accessing Bond Connect. We are very pleased to support our clients in trading via the Bond Connect channel and several clients have products which will launch following this welcome development. DISCLAIMER: This document is for information purposes only and does not purport to represent legal advice. If you have any queries or would like further information relating to any of the above matters, please refer to the contacts above or your usual contact in Dillon Eustace. Copyright Notice: © 2019 Dillon Eustace. All rights reserved.